With the advent of handheld electronic devices we now face the collective task of navigating instruction in the age of technology. Past practice “zero tolerance” policies seem unrealistic when one thing is clear: electronic devices are here to stay. Considering this, it is important that students be allowed to learn and practice responsible usage. Coast High School is a technologically innovative school that values and honors the utilization of technology within the context of a high quality education. As such, we have crafted a "Responsible Use Agreement" regarding electronic devices such as cell phones. "Responsible use" means that students will first be given the opportunity to "self manage" their electronic devices responsibly. However, students agree that they will not allow the electronic device to disrupt instruction, the learning environment, or the learning process for any student or staff member. Teachers also have the discretion to lead students in classroom practices that may include electronic devices as instructional tools. If a student chooses not to abide by the responsible use agreement, the teacher will ask the student to place their electronic device in one of our classroom charging locker bays until the end of the period or otherwise instructed. 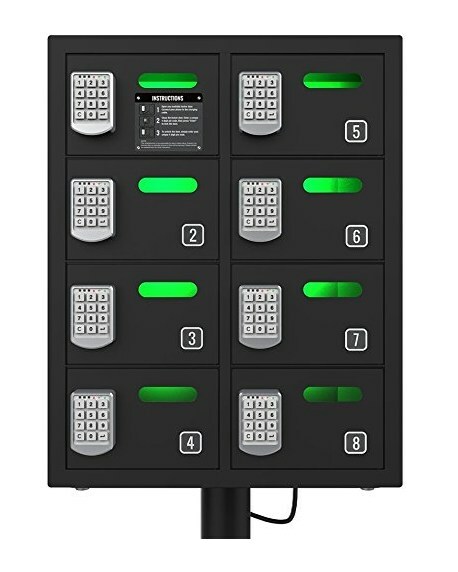 Each locker bay is password protected and includes charging capabilities. These are the same innovative electronic device stations utilized by Harvard University and NASA.